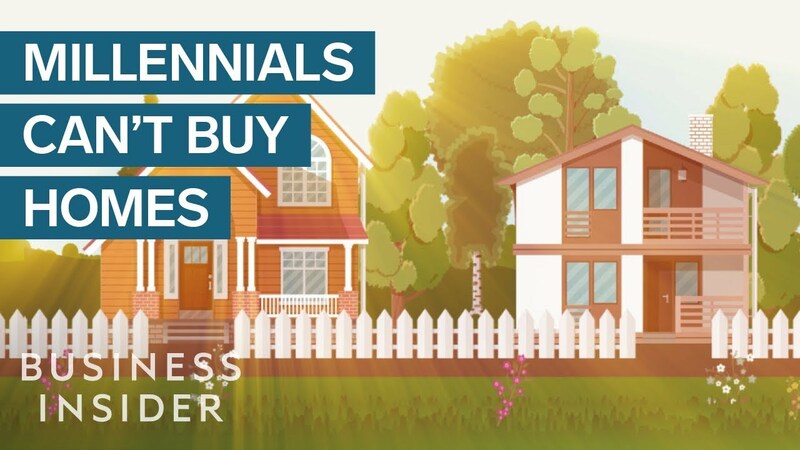 Buying a house is harder for millennials than it was for their parents’ generation, but that doesn’t mean all hope is lost. Depending on where you want to live, how much debt you have, and how much you have saved, buying a house might not be out of the question—if you’re willing to compromise. Alyssa Pagano: When I was born, the median price for a house was $108,900. Now, it’s $337,200. Even if you account for inflation, that’s about a 45% increase in cost. But buying a house is something I would like to do. So I’m trying to figure out if I can. The odds are pretty stacked against me. I’m a millennial, and I graduated college in 2010, right in the middle of the recession. When I entered the workforce, the job market was rough. Like many of my peers, I have student loan debt. And on top of that, there aren’t very many starter or mid-price homes on the market. My personal financial situation has to do with choices I made. I changed careers at 27, I took out loans to go back to grad school, and I didn’t manage to save any money before that. But that’s not abnormal for someone my age. According to a LinkedIn study, it’s common for millennials to change jobs about three times in the first five years after college. And in the eight years I’ve been out of college, I’ve lived in New York City the whole time. Median cost of a home here? $770,000. I certainly can’t afford that. When I look at my income, cost of living and student loan debt, the idea of buying something as expensive as a house seems nearly impossible. My dream home would look something like this. Or this. But even if my boyfriend and I took our combined income of $100,000 a year, that apartment is a pipe dream. I went to Business Insider’s own financial planner, Lauren Lyons Cole. I figured if anyone could help me, it would be her. Lauren Lyons Cole: When you’re just starting out, you can calculate a general price range by taking your annual income and multiplying it by three. With a combined income of about $100,000 a year, that means a home that costs around $300,000 would be a good starting point. Pagano: That’s not as bad as I was expecting, but I have no idea what I can get for that price. Cole: With a budget like that in New York City, you probably aren’t gonna find that many options. So you might have to make sacrifices, which could even mean relocating to another city. But then you have to figure out what kind of job options are there, and how much could you get paid to do the work you want to do. You have to think about which amenities you really want and which ones you can do without. Pagano: I’ve always wanted some kind of outdoor space, like maybe a balcony. A two-bedroom would be nice… big windows… maybe a turret. What? I’m a millennial. I’m idealistic. Cole: Once you have an idea of what you can afford and what you’re willing to give up, you can take the next step and start looking at listings that are available in your price range. Pagano: With the budget Lauren and I came up with, I browsed options in a few cities I could see myself living in. I wasn’t amazed with anything I came across, but there were some that were nice. Not so much in New York, especially when I compare it to the apartment I live in now, which is below market rent. I also checked out Grand Rapids, Michigan because it was number one on Business Insider’s list of best housing markets for millennials. There, I did find some amazing places within my budget, but I can’t see myself picking up and moving there right now. For me, owning a place isn’t worth living somewhere where I don’t know anyone and I don’t have a job lined up. So I think for now I’m gonna keep renting and try to save up for a down payment. Maybe in a few years the price of avocado toast will go down, and I’ll be able to afford that dream castle. Maybe a balcony… a two-bedroom would be nice… big windows… maybe a turret.